We offer a complete Multilateral Roaming service: a faster and reliable way to implement and manage the large number of roaming service relationships. As a mobile operator – that wants to implement or extend your roaming services – a single agreement with us enables you to cover the world. 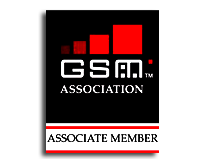 Access to more than 825 GSM/SMS operators in over 200 countries. Access to more than 600 GPRS operators in more than 150 countries. Access to more than 200 CAMEL operators in more than 100 countries. Access to more than 200 3G operators in more than 100 countries.